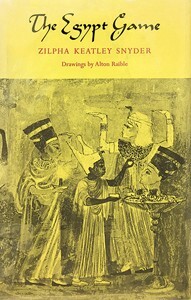 The Egypt Game, 1st ed. Martin, Cathlena. “Role Playing in Children’s Literature. Zilpha Keatley Snyder and The Egypt Game.” American Journal of Play 10, no. 2 (2018): 208–28.